Home → Portfolio → Is Mr. Magic Premium Ice Melt Magic or Simply a Complete and Highly Effective Deicer? 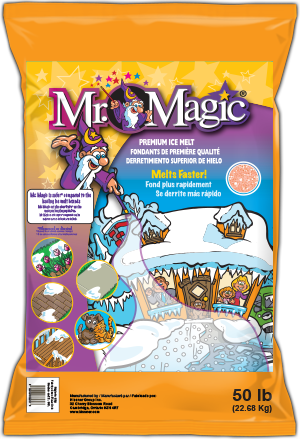 Most certainly the magic in Mr. Magic Premium Ice Melt is due to its unique and proprietary formulation. 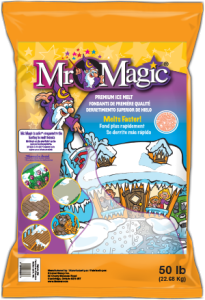 Mr. Magic Premium Ice Melt Magic contains a special formula of potassium chloride (a fertilizer), calcium chloride, magnesium chloride and sodium chloride coated with CMA. It provides best characteristics of the five most common compounds used in many deicers. It has been reviewed by many as the best deicer they have ever used for residential or commercial use.